Remember this chili recipe? Well, here’s a super simple way to rejigger it: make it, but omit the sweet potato/carrot in the mix. Instead, while the chili’s cooking, roast a sweet potato1 in the oven, then stuff each half of the potato with the chili and sprinkle with shredded cheddar cheese2 when ready to serve. Added bonus: sweet potatoes are an excellent source of Vitamin A, which gives us healthy skin, teeth, and bones. Ah, the one-pot meal. What could be easier? Chop up a bunch of stuff, chuck it in a pot, cook it, and chow down. If you have a big freezer, you can pack up half of what you make and freeze it for another time; you can pick at the other half in your fridge every other day or so for about a week. My one-pot meal last night was homemade chili (I make mine vegetarian, which is quite hearty, but you can add ground turkey to yours if you want). I don’t drink alcohol, but the bf prefers a solid red wine with this (or beer). Here’s my recipe, but feel free to mix it up, substitute/add/subtract as needed, and make it your own. 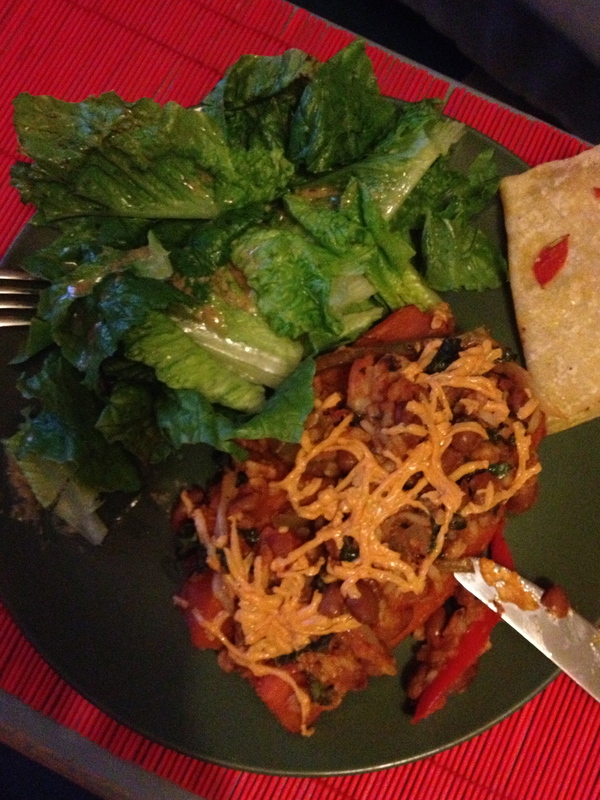 I like my version (minus the ground turkey) because it’s chock full of protein and veggies. From “Part 1,” in a large pot over very low heat, add olive oil, onion & garlic. Cook 7 minutes or until soft & translucent, stirring often. Then add carrot/potato, pepper & kale. Cook 7 minutes, then add water & cover pot; cook another 5 minutes to soften veggies. Uncover pot, stir up ingredients and then add beans, sauce & turkey, if using. Cook, uncovered, for 15 minutes, stirring every few minutes. Whisk all ingredients from “Part 2” in a small bowl; stir into pot of chili. Cook another few minutes. To pot, add all ingredients from “Part 3” and stir/mix well. Cook another 10 minutes, stirring every few minutes. Taste chili and season more with “Part 3” ingredients, if needed; otherwise, turn off flame and you’re ready to serve it up! Particularly popular for chili con carne and red beans and rice, this firm, medium-size bean has a dark red skin and cream-colored flesh. Its popularity can be attributed to its full-bodied flavor. On the downside, it’s an enthusiastic producer of flatulence. Unless you live in an area that grows kidney beans, you won’t find them fresh but will have to settle for the dried or canned forms. White kidney beans—referred to as cannellini beans—aren’t favored with the robust flavor of their red cousins, and are only available dried or canned. The tiny, tender French kidney beans are called flageolets (possibly named after “flatulence,” but I’m still checking) and may be purchased dried, canned and, sometimes, frozen. Kidney beans are a part of the cuisine of North India and are often used in Louisiana Creole cuisine since they pick up flavors well, making them ideal for marinating or adding to stews. 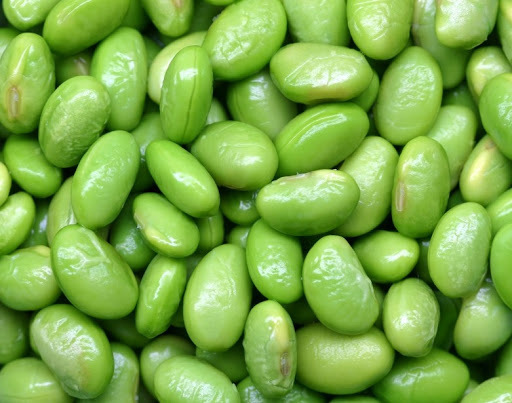 They are also an excellent source of iron, magnesium, and folate. Use kidney beans to make chili, and add them to stews, soups, and salads, as well as to grain and vegetable dishes. In a medium pan set on low heat, sauté garlic in olive oil until soft and lightly “toasted” but not brown to avoid bitter flavor. Add cans of beans and continue to cook for about 15 minutes, stirring often. Add salt and pepper to taste and serve with crusty bread and a green salad.